The International Forestry Ecology Management (IFEM) programme of the Eberswalde University for Sustainable Development celebrated today its 20th anniversary. 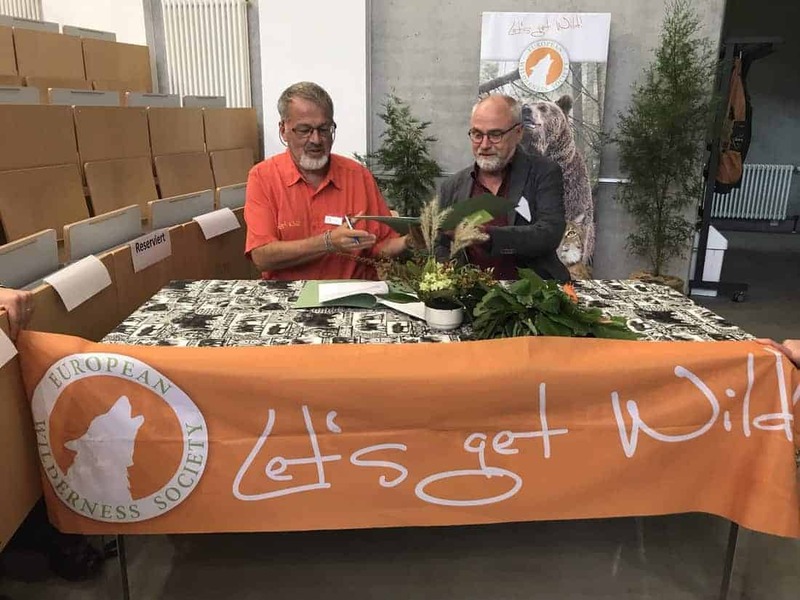 The celebration started with a ceremony, during which the President Prof. Dr. Vahrson of HNE Eberswalde and Max A E Rossberg, Chairman of the European Wilderness Society, signed a comprehensive Memorandum of Understanding. This MoU defined the future cooperation between both organisations concerning the Bachelor of International Forest Ecosystem Management. The European Wilderness Society will be offering internships to the undergraduates of the 3-year bachelor programme. Also, graduates of the Bachelor and Master programme can access its 12-month European Solidarity Corps programme. Furthermore, we will jointly develop an International Wilderness Exchange programme together with the Colorado State University and Eberswalde University. The European Wilderness Society will also implement within the scope of the undergraduate and graduate programme unique lectures. These lectures will be focusing on Wilderness and the work of NGOs. European Wilderness Society and the University for Sustainable Development IFEM programme will also jointly support thesis proposals focusing on Wilderness related issues and cooperate on publications and research programmes. We are really looking forward to this cooperation and share our passion with the exceptional students attending the graduate and undergraduate programmes of the University for Sustainable Development. We are also very excited to jointly develop the international exchange programme and to offer internships for the highly motivated students of the International Forestry Ecology Programme. I will personally offer to supervise thesis proposals and coach graduate and undergraduate students. We are very happy to have the European Wilderness Society as a uniquely qualified partner for our International Forest Ecology Programme which for the last 20 years, has thrived on the challenges it encountered in its mission to push Forest Ecosystem Management to be more sustainable. We are looking forward to a long and mutual beneficial partnership for our students. Alumni presented during the celebration memorable anecdotes from 1998 until 2018. Together, they looked forward to assist future alumni in their quest to make the world a better place. Amazing success for our Volunteer Programme!